It is no secret that I am huge advocate of the value of the handwritten thank you note! Its power knows no bounds! Above all, it is the single most impactful way to distinguish yourself in today's digital society. How many times have you treasured a text or anticipated the arrival of an email? When compared with all the feels you get from receiving a hand written note in the mail....well, there is really no comparison! Nothing expresses gratitude and respect for another like a personal note. People don't remember a text or an email but they always remember a thank you note in their mail box! After all Jimmy Fallon does it regularly on his show, all in good fun of course....but you can too! 1. It is always the right thing to do. 2. It can make the difference in business in getting the job or the client. 3. It sets you apart. 4. Gratitude is good for the brain. 5. It will make someone's day! 6. It is an opportunity to reflect on our gratitude and appreciate the time and energy someone put in to do something nice on our behalf. 7. 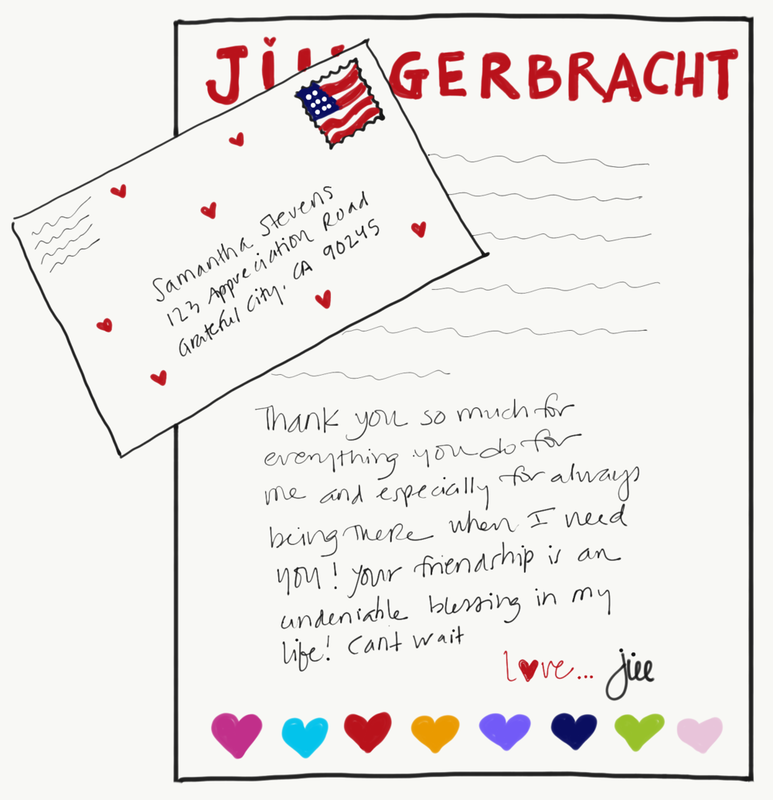 It serves as a keepsake - - no one typically saves an email or a text but a letter, definitely! 8. It perpetuates an important part of our culture and contributes to a lost art. 9. It shows you to be a thoughtful and appreciative person. I have so many stories from clients over the years about different things that have happened in life for them as a result of this simple act. There are even books written about it.....here is one that might be of interest "The Art of the Handwritten Note" by Margaret Shepherd. In closing, I would love to hear your stories here too (just click on comments at the top of this article). And a good rule of thumb on the subject is to remember that the thought behind the thank you note should be equal to or greater than the thought that went into the gift!